in the Viva La Verve October Challenge. from Martha Stewart...no idea how long these little guys have been hiding . The webs were photo corners ( remember those?) , so I pulled the backs off and used them like stickers on the corners. Then I stuck the spider stickers on the orange paper behind the punched out circles...The thread they are hanging by was drawn with a 05 millennium marker. 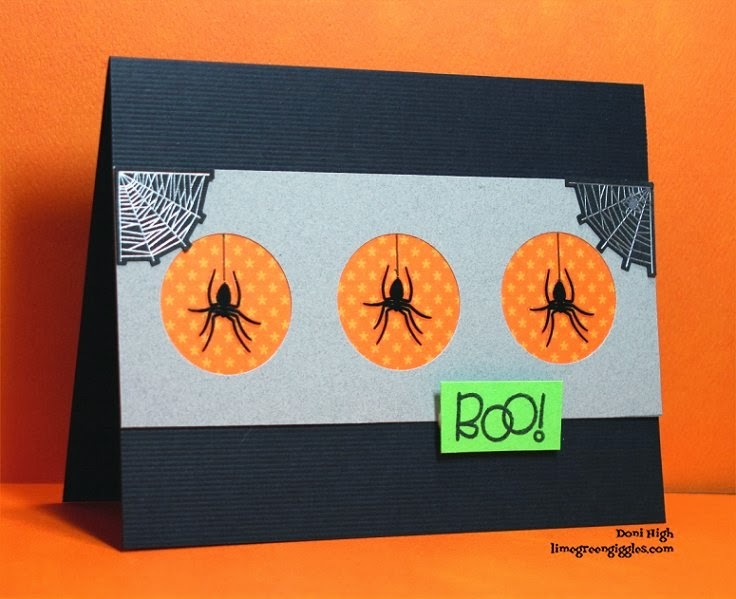 Boo is a new stamp from paper smooches. I stamped it on lime green...naturally! the stamp set also includes a web and a cute spider!